Big Data for Small Businesses today. Our Application Development team has experience strategizing with clients of all sizes to develop custom data solutions with real-time analytics to achieve your desired business outcomes. Check out our success story page to learn how we’re helping companies just like yours. When you hear the terms big data and business intelligence you might think of large-scale IT projects that are out of reach. Or you may think of complicated spreadsheets and detailed analytics that make your head spin. But it doesn’t have to be the case. Most small and mid-sized business owners assume that “big data” is for “big business.” And when time and money are limited, it can be easy to push data analytic solutions to the wayside. But the truth is, if you’re not focusing on your analytics, you could be missing out on major growth opportunities. Without big data you could even be making decisions that hurt your business operations. In many ways, big data solutions are better suited for smaller businesses because they’re generally more agile and the data-driven insights they produce can be acted on more quickly than in larger companies. With more data at your disposal than ever before, deriving meaningful insights from that data — and converting knowledge into action — is easier said than done. Thanks to big data, small businesses can get a fuller picture of their customers — what makes them tick, why they buy, how they prefer to shop, why they switch suppliers or vendors, what they’ll buy next, and what factors lead them to recommend a company to others. Companies can also better interact and engage with customers by analyzing customer feedback in order to improve a product or service. Useful data sources include traditional in-house data (like sales data and customer service logs), social media, browser logs, text analytics, and large, public data sets (such as census data). Strategy. 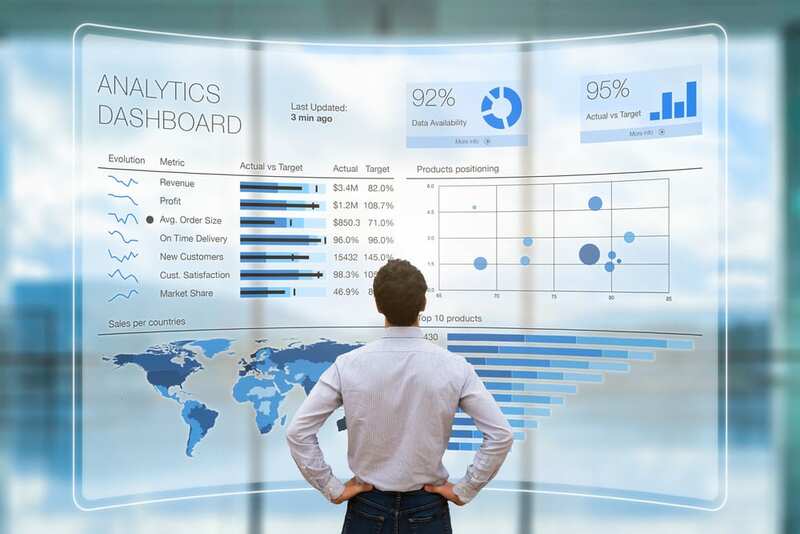 When it comes to big data analytics, one of the biggest challenges for small and medium-sized businesses is designing a business intelligence strategy that can guide your approach. You should focus on what you want to learn, and the desired outcomes, rather than the kind of data you want to collect. From there you can select the tools and solution that accurately present that information best. This method allows you to start out small and then build your big data strategy over time. Leverage existing tools. Many of the big data tools can seamlessly integrate with your CRM software, allowing you to add public or proprietary data to your own databases for an even clearer insight into your customers’ demographics and segmentation patterns. Develop your capabilities with the tools you already use. Google Analytics, for example, provides real-time feedback about how your customers navigate your website. When a business owner is able to understand which demographics and customer segments are spending the most time on their website, they can use this data to improve her marketing efforts. Other big data solutions allow you access to large databases, such as credit card transaction data or third-party surveys. Have realistic expectations. When small businesses seek BI and analytics solutions the tendency can be to take a giant leap. The prospect of having all your data integrated and available to end users sounds exciting but it’s not always the best path for a small business. You should implement your BI solutions in stages, starting with small steps, and building upon them as they achieve proficiency. We recommend the “crawl, walk, run” approach. This way the system can grow with you as any future needs arise. There are a lot of different things you can do with big data, and a lot of different ways to do it. Without the right partner, finding the way that works best for you and your small business can be a challenge, but the rewards can be immense. Knowledge is power, and big data gives you the knowledge you need to make your business a success. If you are interested in learning how to leverage your data to drive business growth, contact IT Solutions today. Our Application Development team has experience strategizing with clients of all sizes to develop custom data solutions with real-time analytics to achieve your desired business outcomes. Check out our success story page to learn how we’re helping companies just like yours.